This formula combines a comprehensive array of studied technologies to target multiple signs of ageing at once. The technologies are Matrixyl 3 000 peptide complex (with palmitoyl-pentapeptide 35) Matrixyl Synthe'6 peptide complex (with palmitoyl tripeptide-38) Syn-Ake peptide complex (with dipeptide diaminobutyroyl benzylamide diacetate) Relistase peptide complex (with acetylarginyltryptophyl diphenylglycine) Argirelox peptide complex (with acetyl hexapeptide-8 pentapeptide-18) Probiotic complex (with lactococcus lactis lysate) in a base of 11 skin-friendly amino acids and multiple hyaluronic acid complexes. The total concentration of these technologies in the formula by weight is 25.1%. Note: The name of this formula was inspired by some brands referring to their expensive products offering combinations of these technologies as a buffet distastefully comparing such products to buffets that offer various kinds of food in one sitting. Aqua (Water) Glycerin Lactococcus Ferment Lysate Acetyl Hexapeptide-8 Pentapeptide-18 Palmitoyl Tripeptide-1 Palmitoyl Tetrapeptide-7 Palmitoyl Tripeptide-38 Dipeptide Diaminobutyroyl Benzylamide Diacetate Acetylarginyltryptophyl Diphenylglycine Sodium Hyaluronate Crosspolymer Sodium Hyaluronate Allantoin Glycine Alanine Serine Valine Isoleucine Proline Threonine Histidine Phenylalanine Arginine Aspartic Acid Trehalose Fructose Glucose Maltose Urea Sodium PCA PCA Sodium Lactate Citric Acid Hydroxypropyl Cyclodextrin Sodium Chloride Sodium Hydroxide Butylene Glycol Pentylene Glycol Acacia Senegal Gum Xanthan Gum Carbomer Polysorbate 20 PPG-26-Buteth-26 PEG-40 Hydrogenated Castor Oil Trisodium Ethylenediamine Disuccinate Ethoxydiglycol Sodium Benzoate Caprylyl Glycol Ethylhexylglycerin Phenoxyethanol Chlorphenesin. The Buffet is excellent however do not buy these products in New Zealand as they are 4 to 10 times the price you would pay in other countries, and that includes postage. NZers are being royally ripped off. 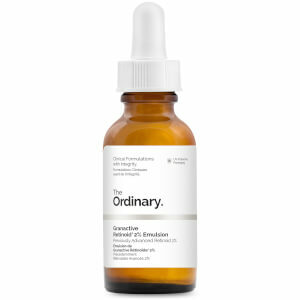 I have been using Buffet for about 3 weeks in conjunction with a few other products from The Ordinary range and I absolutely love it! This product does exactly what it says it will, I could see the difference in my skin within a couple of days of starting to use it. The lines on my forehead are nowhere near as noticeable as they were and the couple of fine lines I had around my eyes have pretty much disappeared. Will definitely be buying this again and would definitely recommend it to everyone! And so affordable too! I've purchased several bottles of this over the past 9 months and will continue to repurchase. 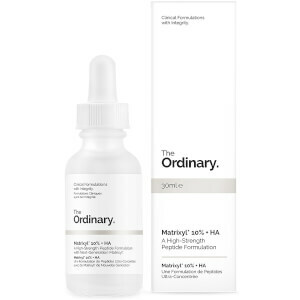 This is a great little serum containing peptides and hyaluronic acid that plumps the skin and helps it get that inner glow. 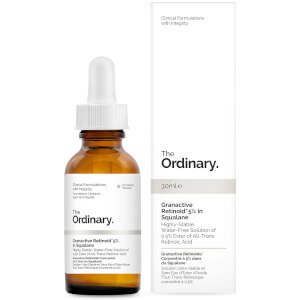 Its an easy serum to add into your routine, after cleansing before moisturiser and sunscreen, its relatively cheap and my skin feels and looks good when I have this in my routine. I also love that it is a very neutral product on your skin, making it feel good without stripping away any of the healthy parts. Wow! After just 2 days my skin was plumper, softer, and noticeably less lined. I'll definitely keep using this product. As usual Ry's fast delivery & fantastic customer service were extraordinary. Works great for being so cheap! Have only been using this a week and can already see changes in my forehead wrinkles. Can't wait to see the long term results.